The new Skype Lite Android app - now available on Google Play - has been launched by Microsoft for India, and specifically for middle-to-low range handsets. It was developed in Microsoft's research and development centre in Hyderabad, and at this point the company does not plan to release it in other countries. The Skype app for Android isn't great - it's often slow, with somewhat-awful call quality and the occasional crash. 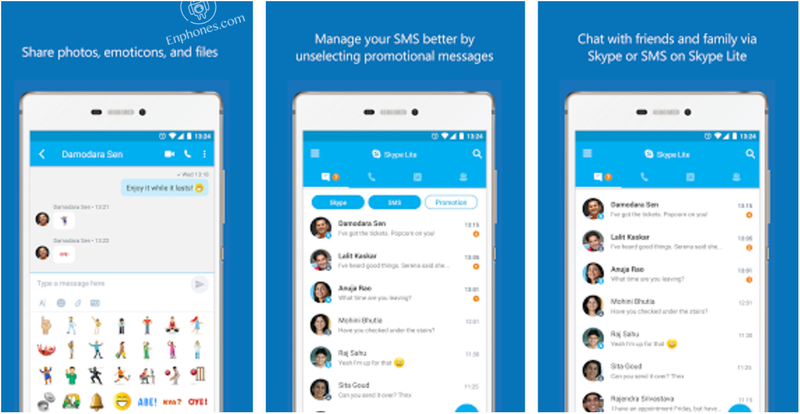 Back in December, Microsoft released Skype Mingo in beta, a new lightweight Skype client designed as a hub for all your communications. Now the app is out of beta, and it's called Skype Lite. Optimized for those on limited internet connections such as 2G data. Support for reading and replying to SMS and tracking mobile data usage. Likewise, to save on potential data usage, any photos, video or other files transmitted through conversations will be compressed. The app itself is a mere 13 MB to help conserve the limited space on low-end handsets that dominate emerging markets like India. Skype Lite has other features that the full app doesn't, like dark mode and pinning contacts to the home screen. I do wish Skype Lite's notifications supported quick reply (the full Skype app does), but that's a small complaint. Everyone else can download the APK from APKMirror.